Direct Cacao | WHY DO WE LOVE CHOCOLATE? Certification is a way to improve the farmers state of affairs, by providing them with additional (or at least stable) income and other privileges, conditional on their compliance with certain requirements. Such requirements are outlined in documents called standards or codes of conduct, which are used by auditing committees to randomly check farms. The certified product, which eventually finds its way to the shelves of supermarkets, informs the consumers with information, certificates also provide marketing opportunities for companies involved in branding of cocoa products. At the moment there are four labels for sustainable cocoa and chocolate (not mentioning DIRECT CACAO here*) These are EKO, for organic cocoa; Max Havelaar, for Fairtrade cocoa; Rainforest Alliance, for nature conservation; and UTZ Certified, for farmers support. Each of these certifiers focuses on different aspects of sustainability and its own unique standards and approaches to rewarding farmers. Dutch cocoa processors and cocoa chocolate manufacturers utilize these different schemes. Currently the focus is very much on UTZ Certified, which launched its Cocoa Program in 2007, with a focus on certification, training and farmer organisation. Through UTZ Certified, mulitnational corporations aim to realize their sustainable sourcing objectives. Many complicated elements surround certification. One burning issue, repeatedly mentioned in interviews and at multi-stakeholder meetings, is harmonisation of standards. Harmonisation of standards Each label has its own specific attention points, its own standards, its own system of rewards, its own traceability systems, and so on. The fact that there are several certificates, which all opetare differently, can cause confusion in the actual meaning behind a specific, label and the differences between the various labels. Moreover, it is unclear whether these labels can actually realise the claims they make. It is nessary to have such variety of labels for certifying more or less the same product and process? Because every certifier wants to safeguard its own supply, there is a danger that ther will be a new competition between the certifiers about who will actually get the certified cocoa. This quote illustrates the prevalent fear that UTZ CERTIFEID will eventually attract the farmers and their produce, because they enjoy the support of industry. This is not an unrealistic fear as the supply of certified cocoa is lagging far behind demend. Another issue of concern is whether farmers will be able to select the certification scheme for which they want to produce their cocoa. Questions regarding harmonisation It is sad that the different labels for sustainable cocoa have an 80% overlap in their social and environmental criteria. Several questions often arise in discussions on the harmonisation of standards, for example: How can the different certification schemes be integrated? How can the four certifiers operate collectively, in order to certify as many farmers as possible? What are barriers or disadvantages involved in harmonisation? Does harmonisation of standards lead to weak compromises? Are there no alternative form of certification available that could make the process faster and cheaper? Should they be actively sought out? 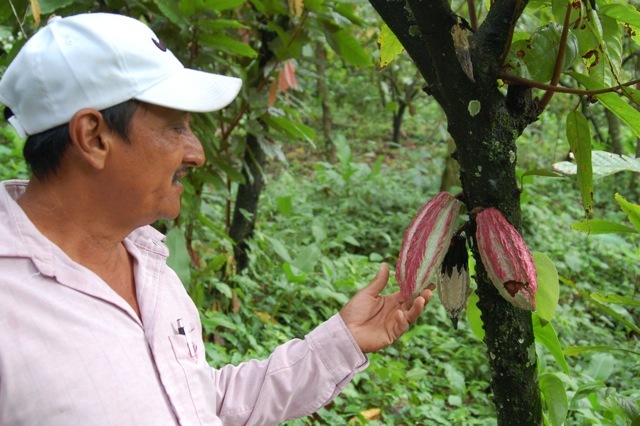 …In order to cope with some of the challenges that the use of certification schemes generate, the different actors involved in the cocoa sector also build upon experiences with certification in other sectors. UTZ CERTIFIED builds upon its experience in coffee, where it is among the biggest certification programs in the world. Other learned from the research conducted on sustainable biomass. For example, Fair Food has used a document prepared by Cramer (2007) for testing a framework on sustainable biomass to explore alternative (cheaper) ways of certifying cocoa. In this document three different certification systems were compared: the track and trace system, the mass balance system, and negotiable certificates. Currently, the Fairtrade Labelling Organizations are considering the mass balance system as an alternative way of certifying Fairtrade products. This system prescribes to stop the practice of segregated processing of Fairtrade cocoa and conventional cocoa. 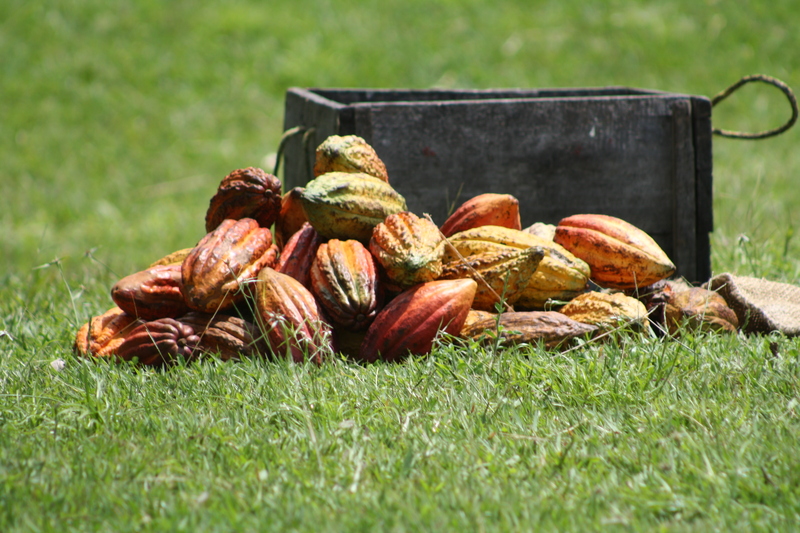 UTZ CERTIFIED allows both mass and segregation for certified cocoa. The concept of Certification+, introduced by Solidaridad and Mars, states that the premium provided by Certification is not meant to guarantee a living wage for farmers. By improving productivity and quality, farmers should be able to earn more for their cocoa and invest in improving their liveihood, especially in West Africa wher cocoa production is concentrated. Therefore, these parties claim to go beyond certification by improving productivity through providing better plant material and fertilizer, training, and financing. In addition, Solidaridad is improving support to farmers in producing countries by lobbying and by working to strengthen civil society.